Neapolis (Jones) Reynolds, 89, of New Britain passed away Tuesday July 3, 2018 at her home. She was the loving wife of the late David Reynolds, Sr.
Neapolis was born July 7, 1928 in Macon, Georgia, a daughter of the late Willie and Neapolis Jones. She attended schools in Macon and had worked as a timekeeper at Fafnir Bearing retiring after many years of service. 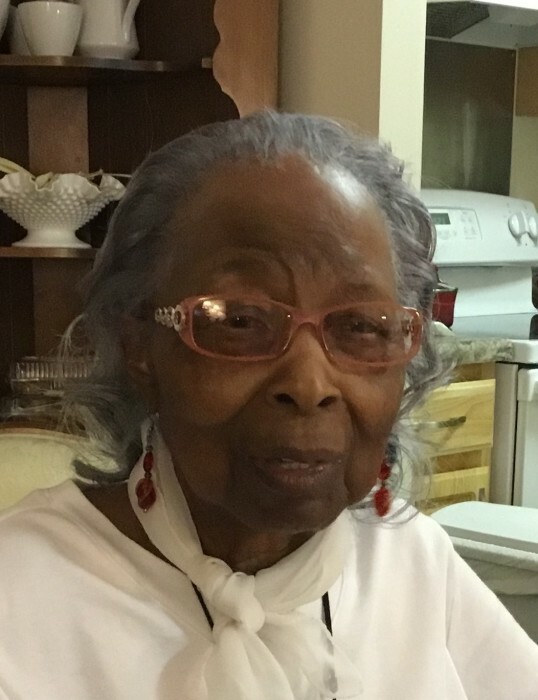 Neapolis was a lifetime member of Redeemer’s AME Zion Church in Plainville, where she also served as a Deaconess and was a member of the missionaries. She was also a member of the Every Women’s Club of New Britain. Neapolis liked to crochet, sew and bake and was well known for her sweet potato pies and her pound cake as well as other baked goods. She was well loved by all who knew her. She leaves her daughter Rose Tucker of Bristol, her son Howard Reynolds and his wife Nora of Waterbury, her brothers, Charles Jones and his wife Paula, Nathaniel Jones, all of Waterbury and Joshua Jones and his wife Susan of Naugatuck, her grandchildren, Damian Tucker and his wife Leslie, April Tucker, Irene Tucker, Angela Taylor, Erica Reynolds and Kimica Hughes, her great grandchildren, Gabriyele Tucker, Mykaela Tucker, Joshua Briatico, Selah Briatico and Amelya Tucker and many nieces, nephews and cousins. She was predeceased by her sons, David Reynolds, Jr. and Herman Reynolds and her sisters, Doris Spears and MaryLou Jones. Funeral services in celebration of Neapolis’s life will be held on Saturday July 14, 2018 at 11:00 a.m. at Redeemer’s AME Zion Church 110 Whiting Street in Plainville. Burial will follow in Plainville West Cemetery. Family and friends may gather at the church on Saturday morning from 10:00 a.m. until the time of the service at 11:00 a.m.